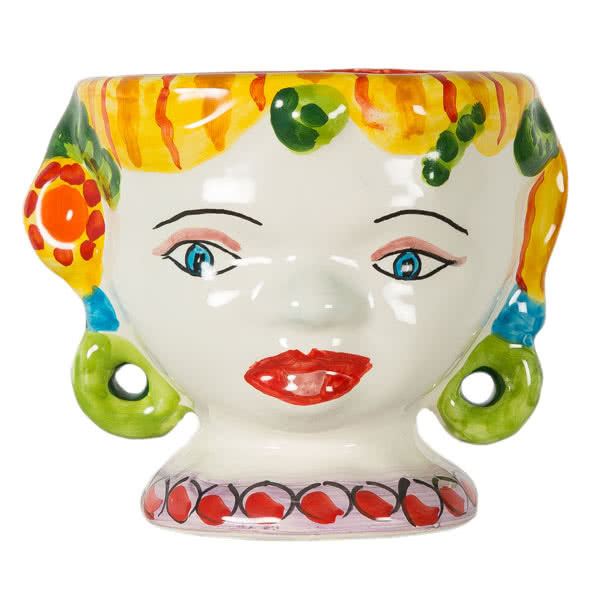 Hand made and painted ceramic head curio as found by Anna in Italy. All items listed are slightly different as they are made and painted by hand. Price is for curio only. 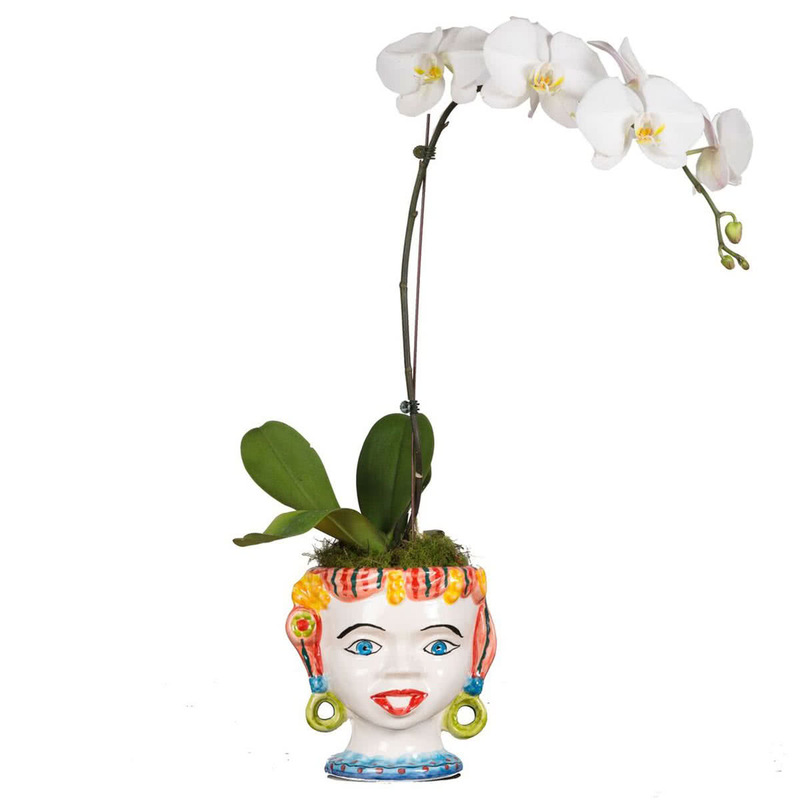 Orchid not included.